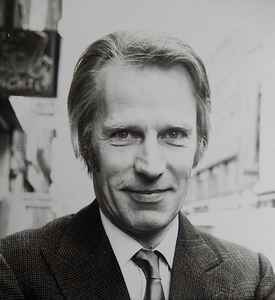 NOTE: Please use George Martin for credits, not Sir George Martin, as he was knighted after the vast majority of his work was done. Sir George Martin (3 January 1926, Highbury, London, England, UK – 8 March 2016, Wiltshire, England, UK). Took to music at an early age, becoming interested in the piano before the age of eight. He was later interested in architecture, design, and aeronautics, and ended up becoming a pilot in the Fleet Air Arm (the aviation branch of the Royal Navy) towards the end of World War II. He returned to music, attending the Guildhall School of Music, studying composition, conducting, orchestration, and theory, and taking up the oboe as a second principal instrument. He got into the music industry as assistant to Oscar Preuss, the head of the Parlophone label, at a period when the label was in transition from second-rate classical recordings to "pop" music. At the same time, the world of music recording was transitioning from 78s to LPs and 45s, with magnetic tape making changes in the recording process. When Preuss retired in 1955, Martin took over Parlophone, and at 29 was the youngest label chief in the company's history. As a producer, George Martin's first number one hit in the U.K. was the Temperence Seven's "You're Driving Me Crazy" in 1961. Martin moved Parlophone into the world of rock & roll with the Vipers Skiffle Group, whose second single, "Don't You Rock Me, Daddy-O," was a Top Ten hit. Then in the spring of 1962, Martin happened to interview Brian Epstein, a Liverpool-based manager, about a quartet known as The Beatles. That summer, they were signed to Parlophone. Over the following years, Martin would help to shape The Beatles, getting credit from some as being the "fifth Beatle" for his work with the band. In 1963, records produced by Martin spent 37 weeks at the number one spot on the U.K. charts. But two years later, Martin split from Parlophone, due to the small producer's royalty which had not increased during the explosive growth of the label, to form AIR (Associated Independent Recording). This production company was headed by Martin and two other producers who came from EMI, Parlophone's parent label. The Beatles were produced by George Martin through 1969's Abbey Road, and it wasn't until The Beatles broke up that Martin was completely free from his ties to EMI. In the 1970s, he produced a wide variety of artists and bands, from America and Jimmy Webb to Jeff Beck and the Mahavishnu Orchestra. He continued to work with an array of artists, many of whom received critical acclaim. On June 15th, 1996, George Martin was knighted for his production work over the decades, especially with The Beatles. On October 20, 1998, In My Life was released, and Sir George Martin took a bow from the music business. His last album was a collection of Beatles songs he originally produced, recreated by a variety of well-known artists. He briefly came out of retirement in 2005, and with the aid of his son (with his second wife), Giles Martin, he compiled clips and songs for the Beatles' and Cirque Du Soleil's LOVE project and remix album. Inducted into Rock And Roll Hall of Fame in 1999 (Non-Performer).